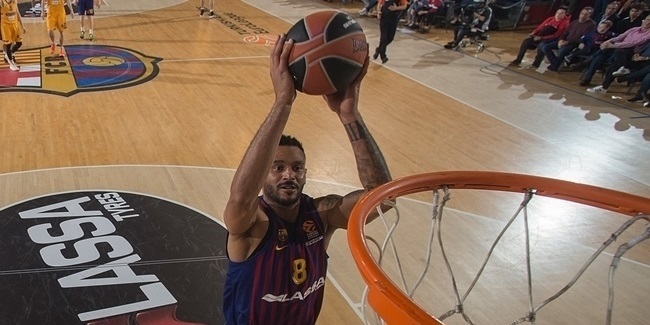 FC Barcelona Lassa won a back-and-forth battle against Anadolu Efes Istanbul at Palau Blaugrana on Thursday. It is fair to say that each team dominated one half of the game. In fact, it will be hard for any Turkish Airlines EuroLeague fan to find a showdown like this, with such opposite performances by both teams in the same game. Everything Efes did right in the first half went wrong after the break, and it was the other way around for Barcelona. It only shows that anything can happen in the EuroLeague and that the right halftime speech can change any game. Efes dominated the game in the first half. Six different Efes players struck from beyond the arc in the first quarter: Rodrigue Beaubois, Shane Larkin, Brock Motum, Vasilije Micic, James Anderson and Adrien Moerman. Efes hit 7 of its first 8 three-point shots, playing fun-to-watch basketball with great ball circulation. When the shots stopped falling, Efes found a go-to guy in Motum, who led a 2-18 run that gave the visitors a 25-42 margin. Pierre Oriola and Chris Singleton brought Barcelona a bit closer, but Efes still led 39-50 at halftime. 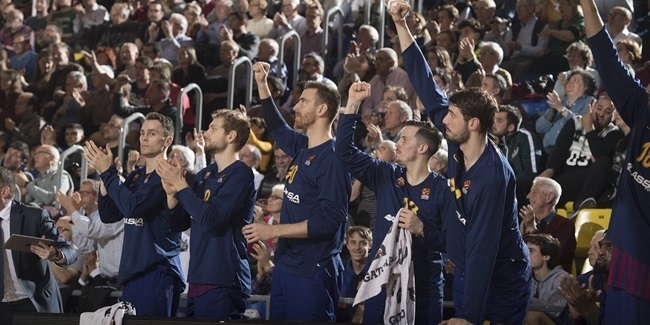 When Barcelona returned to the floor, it was a completely different team and it is no secret that three of the players who know the club best – Oriola, Pau Ribas and Victor Claver – sparked the comeback. Efes was held scoreless for the next four minutes. Efes kept struggling to find open shots and by the time Kevin Seraphin scored around the basket, Barcelona had the lead, 56-55. 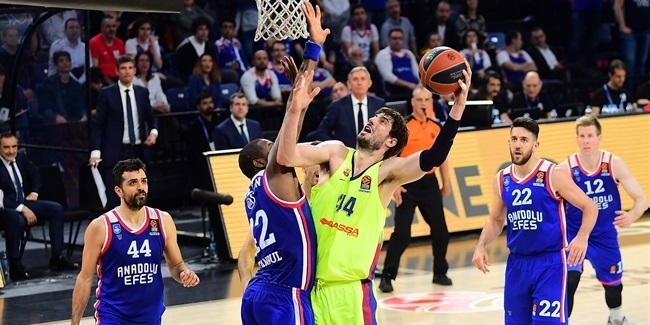 Nothing changed after that; Efes became more and more frustrated, missing one shot after another, and Barcelona used its outstanding defensive momentum to find easy points, especially from Seraphin and Oriola. Numbers can show everything about how different both halves were, particularly for Efes and how Barcelona's defense made the difference in the second half. Efes shot 11 for 18 on two-pointers (61.1%) and 9 of 16 on threes (56.3%), had 13 assists and 50 points in the first half. It was limited to just 5 of 12 two-point shots (41.7%), 0 of 13 from downtown (0%), 15 points and 5 assists after the break. After a rain of three-pointers in the opening minutes, Efes did not score any after the break and hit just 2 of its last 21 attempts from beyond the arc. It was a character win - its second in a row after another comeback victory against KIROLBET Baskonia Vitoria-Gasteiz on the road last week. Most important, Barcelona reached the regular season's halfway mark with a winning record, inside the playoffs zone and will play nine of its remaining games in front of its fans. After a couple of slow years, Barcelona fans have good reasons to smile.